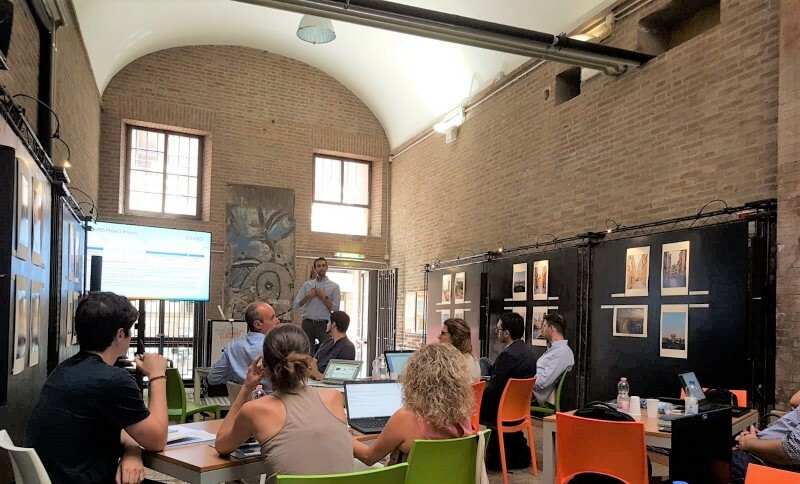 On 9 July 2018, CLASS partners gathered in the beautiful city of Modena for three days in their second face to face meeting. After 6 months since the last in-person meeting - which acted as the kick off of the project - the consortium met again in order to put together the different work done in CLASS. From 9 to 11 July, the partners consolidated the set of software technologies to be incorporated in the CLASS software architecture upon which the application use-cases will be developed. Moreover, on the afternoon of 10 July, the consortium had the opportunity to visit the Modena Automotive Smart Area (MASA) and the prototype connected vehicles that will be used to test the real-time big-data capabilities of the CLASS technology. Both MASA and the prototypes are being developed within the CLASS project, and will be completed by the end of it.